Since that sideshow is indeed happening (#MayweatherMcGregor for those who don’t know) I guess we have to talk about the press tour… I guess. And I have a few choice words for Mr. McGregor and his “antics”. Our analysis of boxing so far this year including our mid-year picks for Fight and Fighter of the Year, Knockout of the Year, Upset of the Year, What are we most looking forward to for the rest of 2017, and our predictions for the rest of 2017. Pound 4 Pound Boxing Report #124 – Comeback Tease? – Badou Jack impresses while James DeGale struggled during their Super Middleweight semi-final on Showtime. Does this say anything leading up their showdown later on this year? – Andre Berto TKO’s Victor Ortiz in their rematch and Ortiz proves( in my Dennis Green voice)”he is who I thought he was! – Jonathan Guzman… who is he? He’s a very good upcoming Jr. Featherweight from the DR, and one to watch. We will talk about his impressive win over Daniel Rojas. Pound 4 Pound Boxing Report Podcast #96 – Floyd Mayweather… Should He Retire, or Should He Fight On? – We talk about ALL the boxing that went down this last (and believe me, there was A LOT of boxing that happened) including the #MayweatherBerto card, Adonis Stevenson and Errol Spence Jr., fighting on a PBC card in Toronto, Jermall Charlo emphatic stoppage over “K9” Bundrage and the farce that was Peter Quillin’s stoppage of Michael Zerafa. We also talk about British Heavyweights Anthony Joshua, Dillian Whyte and their upcoming showdown. As most of you boxing fans know, on Wednesday Thomas Hauser of SB Nation, while writing a report on USADA (United States Anti-Doping Agency), claimed that Pound 4 Pound king Floyd Mayweather took an intravenous mixture of saline and multi-vitamins that was banned under the WADA (World Anti-Doping Agency) guidelines prior to his fight against Manny Pacquaio on May 2. This has had folks not only in the boxing world, but general sports world talking and talking, and talking. Well today, both Mayweather and USADA released statements denying any wrongdoing. For those who are not in the know, here’s the backdrop. According to the piece from Hauser of SB Nation, while the solution in the IV was legal and follows under the WADA guidelines, it is against WADA guidelines for Mayweather to have receive the solution intravenously. 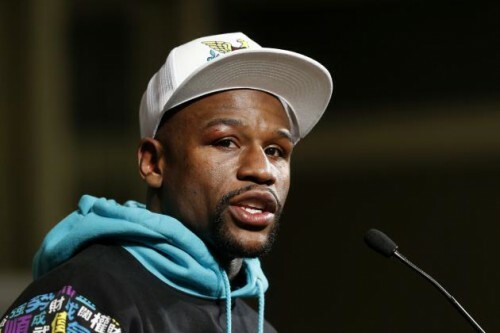 Additionally, according SB Nation “USADA, which had been contracted by Mayweather and Pacquiao to conduct random drug testing for their bout, sent collection agents to Mayweather’s house in Las Vegas the night before the fight to conduct an unannounced drug test… Mayweather’s medical team told the collection agents that the IV — which reportedly included a 250-milliliter mixture of saline and multivitamins and a 500-milliliter mixture of saline and Vitamin C — was being given to Mayweather for rehydration purposes following the weigh-in.” Now according to WADA rules, no more than 50 milliliters of IV infusions/injections every 6 hours are allowed “except for those legitimately received in the course of hospital admissions, surgical procedures, or clinical investigations” with the reason being is that it could be used to “dilute or mask the presence of another substance.” If that’s not enough to have folks alarm bells ringing, within this same article by SB Nation, they claim that USADA didn’t inform the Nevada commission about this IV injection until May 21, nearly three weeks after the Mayweather’s win over Manny Pacquiao. Can somebody say Welp! On Thursday both USADA and Mayweather released statement claiming that nothing improper was done. 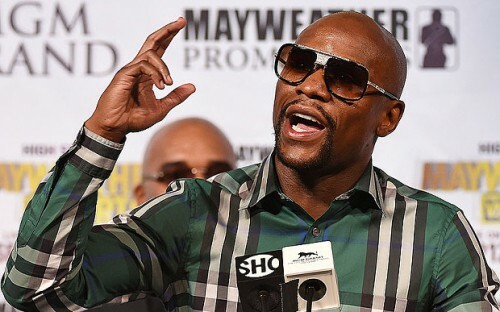 In the statement released by Mayweather he said “As already confirmed by the USADA Statement, I did not commit any violations of the Nevada or USADA drug testing guidelines. I follow and have always followed the rules of Nevada and USADA, the gold standard of drug testing. Let’s not forget that I was the one six years ago who insisted on elevating the level of drug testing for all my fights. As a result, there is more drug testing and awareness of its importance in the sport of boxing today than ever before. I am very proud to be a clean athlete and will continue to champion the cause.” Lately there always seems to be some bit of controversy leading up to a Floyd Mayweather fight, and what’s discussed in this report from SB Nation definitely qualifies at that sure.